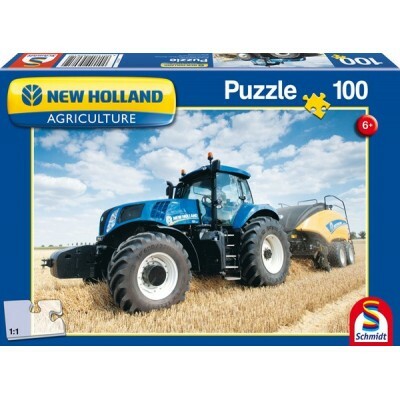 Two 60 piece jigsaws and two 100 piece jigsaws showing New Holland tractors at work. 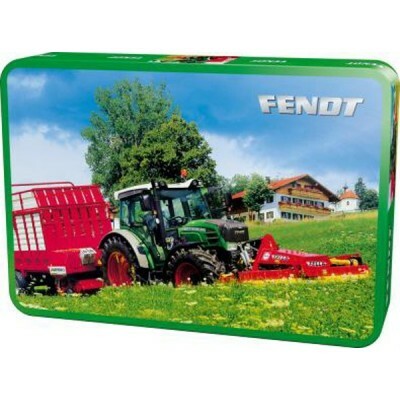 All kept safe in a sturdy keepsake tin. 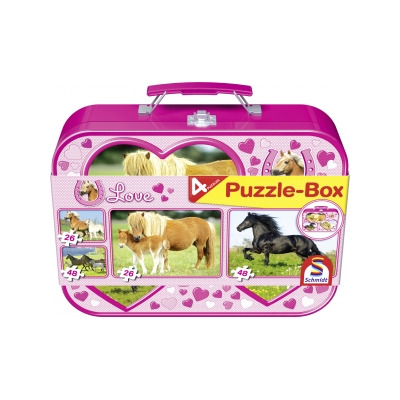 Not one but four fantastically colourful images to complete, perfect for horse lovers. 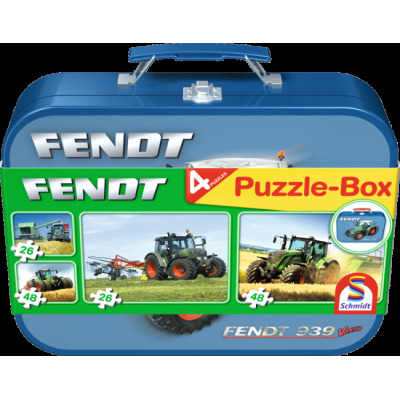 Two x 26 piece and Two x 48 piece jigsaws all together in a wonderful keepsake tin with handle. 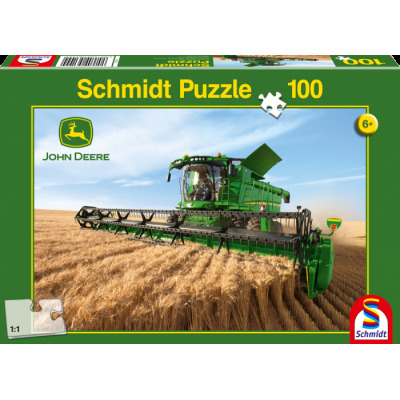 100 piece jigsaw depicting a twin tyre John Deere combine at work in the fields. 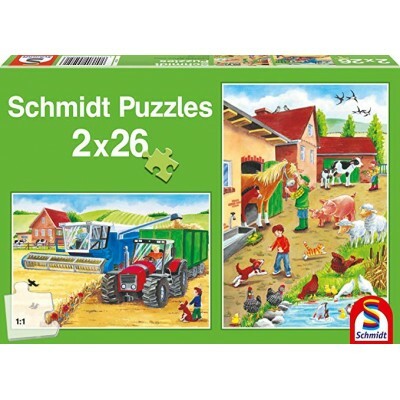 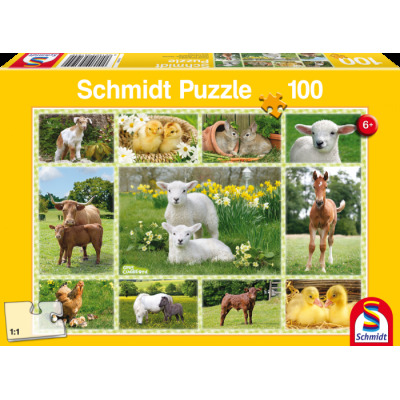 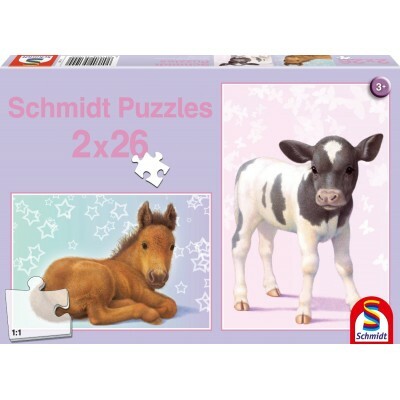 From renowned jigsaw makers, Schmidt. 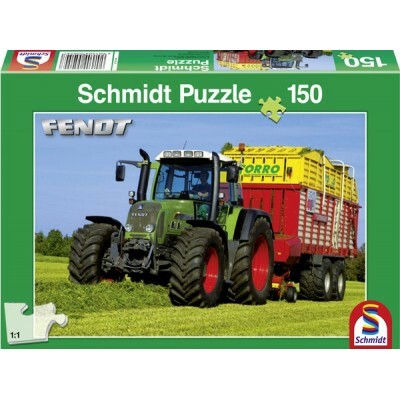 A beautiful children's jigsaw with an added bonus. 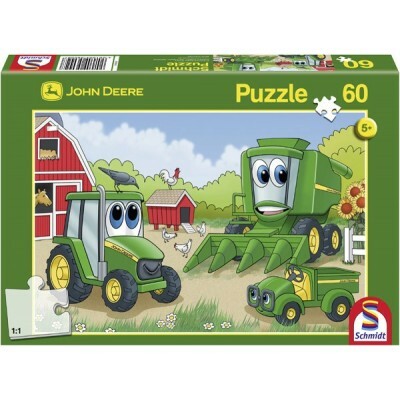 Not only do you have this fantastic John Deere image to complete but also, an original Siku tractor model to play with. 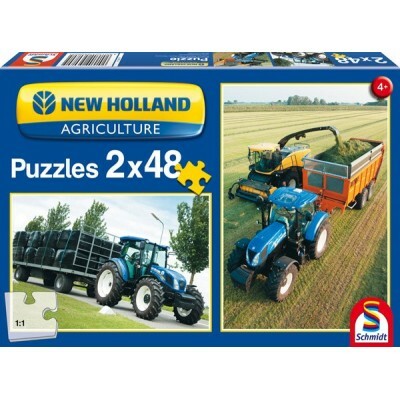 Two 48 piece puzzles featuring a New Holland tractor at work. 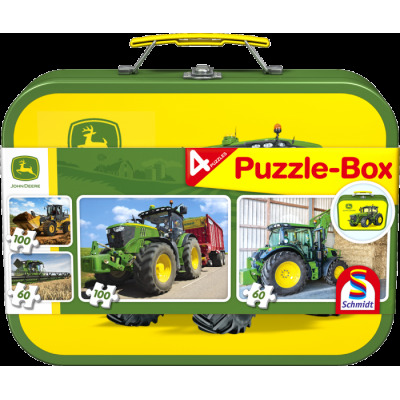 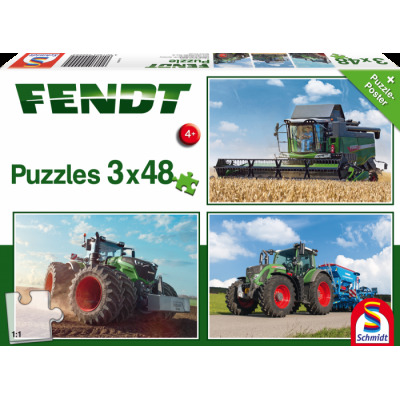 Perfect for the tractor mad puzzle fan in your life. 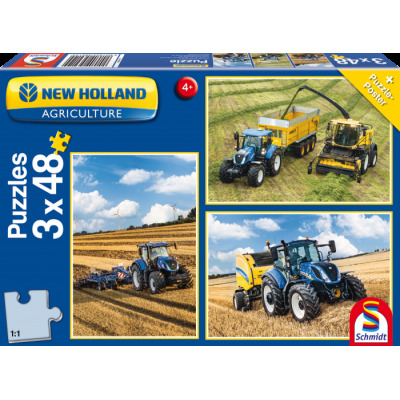 Three 48 piece puzzles featuring a New Holland tractor at work. 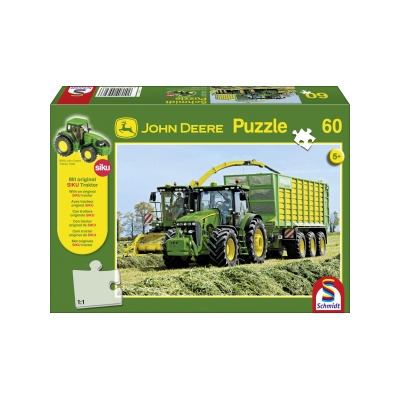 Perfect for the tractor mad puzzle fan in your life.